UK based video, AV and technical production provider Central Presentations Ltd (CPL) has launched a new range of specialist projector rigging solutions. Four innovative products are currently available – Rental Frames, Truss Mounts, Flying Mounts and a Portrait Adaptor – all designed to work together. These have been developed by and for riggers and technicians combining numerous features, offering straightforward and practical projector rigging options informed by CPL’s vast experience of touring and live events. The Truss Mount is at the heart of the system. A genius touch is the tilt–and-swivel (T&S) mechanism underpinning the design, which is based on a ball joint and enables quick and easy adjustment of the projector by one person. This is ideal for crew aligning machines whilst up ladders, climbing trusses or in other physically challenging scenarios. The Truss Mount’s rugged aluminium construction is aesthetically pleasing and also compatible with CPLs proprietary projector Rental Frames. The Flying Mount Plate is a flat steel mounting-plate that can be laser cut to fit any type of projector. It bolts onto the bottom of the machine and easily attaches to the CPL Truss Mount bracket. Using the CPL Portrait Adaptor, projectors can be straightforwardly and stably rigged ‘vertically’ in portrait format. CPL’s Rental Frames are constructed for the touring and live events sectors. The projector travels in the frame providing additional protection when in transit. The removable top bar is a unique feature. It gives an unrestricted field of vision when the projector is fitted with ultra-short throw lenses. 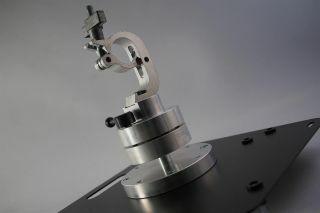 Inbuilt movement adjustment for the projector on three axes aids alignment and gives ultimate flexibility. The Rental Frames also facilitate the straightforward stacking of projectors. Rental Frames are available with projectors from CPL’s hire fleet, or for sale as stand-alone items.